EURO WEEKLY NEWS and its family were surprised by a comment made by one of our readers on our webpage, questioning whether our free newspaper would still be available throughout Almeria, and in Mojacar especially. 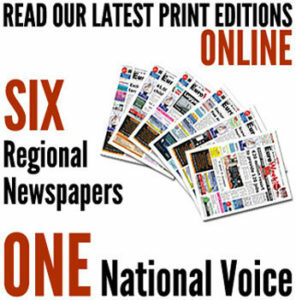 Naturally we would like to confirm to all of our readers in Mojacar, Albox, and across the Costa de Almeria, that the Euro Weekly News continues to be the finest and longest standing free newspaper to the vibrant expatriate community in Almeria, and will continue to be so for many years to come. As a service to our readers, EWN thought it prudent to investigate where this misinformation may have come from, as we know that people have enjoyed reading our Almeria newspaper for decades, just as our family have felt a tremendous honour in producing it. It transpires that the source of this misinformation directed at Almeria’s expatriate community is a feeble outfit with delusions of being a real newspaper. Although EWN could not find any physical office for this company in Almeria we, and many of our readers, are familiar with their record. It can be confirmed simply that this agency attempted to run a free newspaper themselves in the Costa Calida but their venture was unpopular and unsuccessful. A similar attempt at managing an operation in Benidorm also failed. Further activities by the group in Marina Baxia and Marina Alta were overwhelmingly rejected by the expatriate communities there and the company backed out, following a pattern they have become accustomed to. The outfit are now claiming to be the only free English language newspaper in Almeria, a claim that we hope our readers can either laugh at or ignore. The Euro Weekly News would like to reiterate our unending commitment and dedication to our loyal readership and our determination to bring real news and true information to all our expatriate readers every week of the year. I do not understand how the people or agency can be so liar, I enjoy with EWN every week, reading and doing the crosswords. Thank goodness for that – you are obviously being very decent here in not naming and shaming this paper that has lied about Mojacar and its fine publications – it is the RTN and I hope they hang their head in shame. another one we will see come and go in six months no doubt. Absolutely unbelievable that not only do they not know the area that they are talking about, they have no idea about the fact that there are other longstanding and well established newspapers in the area. A very bad judgement call and this will no doubt bite them on the backside! So happy to hear that I will still be getting my EWN each week! Glad to hear that EWN is going from strength to strength in Costa Almeria. Thought I was going senile when I heard that there were no papers in this area as I have been reading this paper for years. I am extreamly proud to have just completed my first year with the EWN family, at their Albox Office. I can not believe that another company would blatantly lie, which is really unproffessionally. I am dissapointed that they have attempted to mislead our loyal clients and readers. Let’s hope with all their lies and misinformation they won’t be ‘Round our Town’ for long , don’t need dishonest people in our lives. Having worked as a writer for the EWN since the start of the year after working for other local newspapers, I can say I am proud to work for the EWN and am confident in the loyalty of our readers. Is this the same newspaper that I advertise with in Javea and I have received notification from Hacienda to pay them direct not to the paper RTN. Is this why they are moving into Mojacar? I have today cancelled my advert with them but have found out the Lady who has worked for them for years has left due to non payment of her wages and guess where she has gone? The Euroweekly – please get her to contact me for advertising in a proper paper. By the way sue the liars you did it before and won. Just picked this RTN up in Iceland – if these comments are true then why is Simon Manley pictured with them. Why are they named as the CHOSEN ONES ? Surely every paper should cover everything from the foreign office in the interest of the British taxpayer or otherwise. Can you not investigate this EWN as a whole web of lies or does it take Jon at The Olive Press to dig deep and investigate the truth. I am looking into this further as it stinks. The Ambassador was in Malaga today promoting the concept of registration for the referendum before an invited collection of real newspapers such as EWN, Sur in English and others but not the ‘publication’ in question and he made no mention of having coupled with ‘The Chosen One’. By this afternoon both the Embassy and Consulate had received a detailed request for an explanation of the background to this ‘appointment’. We will of course publish any response received especially as any appointment by an arm of the British Government can be considered an expression of overall Government policy. Our by line is We Get It and we hope that the British Embassy will do as well! Scandalous!!!! Surely there are laws against printing blatant lies. Long may EWN prosper!!! Shameful display today of ignorance! I thought we lived in a civilised society. #liars EWN have been going for years, how can another publication say that they are the only newspaper in the area. Do they think that we are idiots that live here? Why are you British always so jealous of success? If this other paper wanted to expand into a new region why did they not just do it without lying about all the other papers that are already here. I opened a business here and when I advertised it in the Euroweekly and Spectrum or does that not exist either? I just announced my opening. This is very bad business practice to start a newspaper in the area with. Also where is the office? So many shills in these comments… let’s hope we get a decent free newspaper in the area, I think we deserve at least one. I think the whole thing is just terrible! Why can’t people come to Spain and just get on with each other. All of their sales staff are suited and booted- clean shaven and always respectable about other publications. I think the OP now are trying a different market with Gibraltar , the RTN & Buzz just go around conning people our of their hard earnt money. SIMPLY DISGUSTING!! Euro Weekly you have my 150% support on anything you do. just this year we have had a 15% increase of business this is why I book and pay for 3 years in advance. I know my money is safe ! sadly they regularly come to my business undermining the other newspapers. They only way they seem to get business by under cutting the others. The way I see it is, it’s not the cost of the advertising but the value it it brings.